Whether you can donate 1 dollar or 100 dollars, we are looking for supporters to fill the board with 100 donations for this year’s EVA awards! Choose one or more available squares and hit the PayPal button below to donate. Enter the amount you’d like to contribute and we will add you to the tally board. 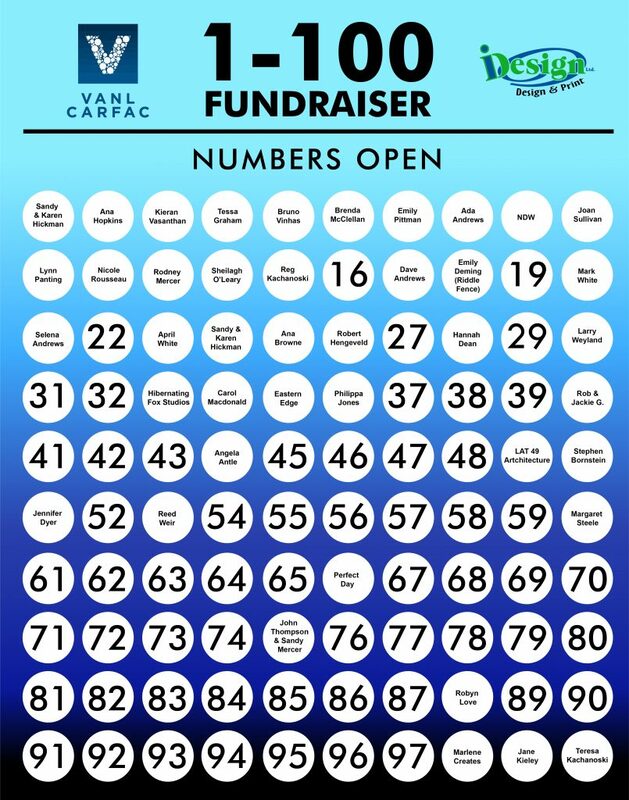 Let’s fill those 100 squares with 100 donations! The Excellence in Visual Arts Awards celebrate the achievements of Newfoundland and Labrador’s visual artists and recognize the significant contribution the visual arts make to the vibrant and dynamic culture of the province. The EVA awards are only possible with the support and generosity of the community, and whether you can contribute a little or a lot, every donation will help to support and celebrate our visual artists, our arts writers and the visual arts community. Let us know if you’d like your name added to the tally board, or if you’d prefer to remain anonymous. Please just add a note to let us know in the “Additional Information” box at checkout. You can also contribute directly by visiting our office at 275 Duckworth St, Unit1 . 1-5 on Mondays and from 10 -12 and 1-5 Tuesday to Friday.